How to describe somebody ? What is the word order with adjectives ? 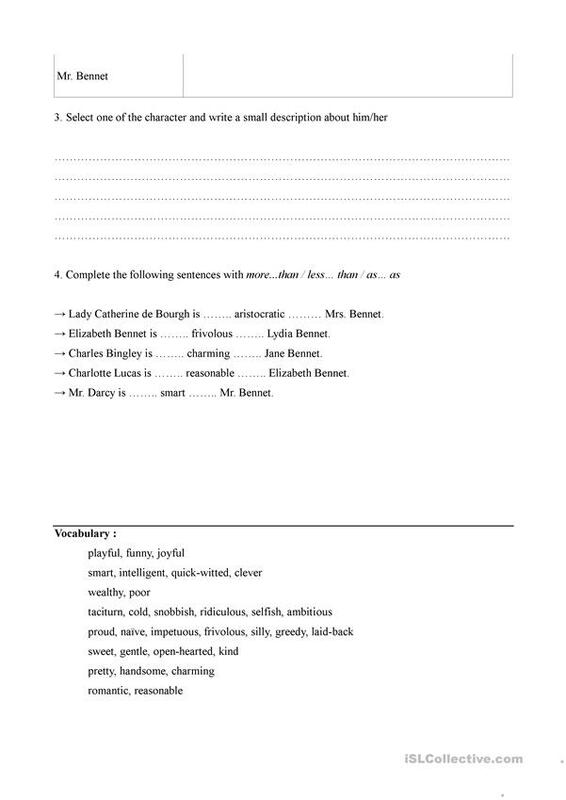 The worksheet includes grammar guide + activities + a vocabulary list. 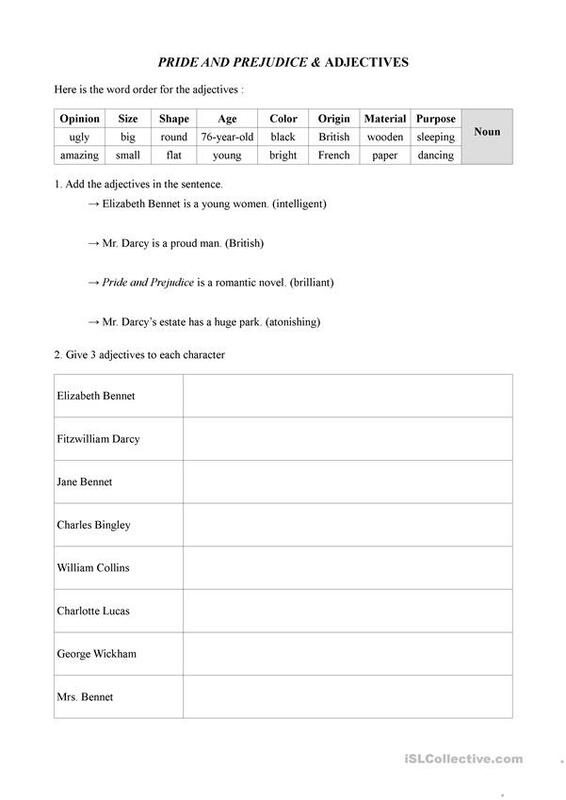 All the exercices are about the characters from "Pride and Prejudice" by Jane Austen. This downloadable handout is best suited for high school students and adults at Pre-intermediate (A2) and Intermediate (B1) level. It is great for teaching Adjectives and Adjectives to describe personality and character in English, and is a valuable material for improving your students' Writing skills. It is focused on the vocabulary topic of Books and reading, Describing people and Movies & TV shows. Tiphanya is from/lives in France and has been a member of iSLCollective since 2013-01-29 12:03:25. Tiphanya last logged in on 2019-04-14 15:39:05, and has shared 5 resources on iSLCollective so far.